Dave Grohl: 'I think I just broke my leg' Jump to media player Dave Grohl, the lead singer of the rock band, the Foo Fighters, gave a new meaning to the phrase "break a leg" after falling off the stage during a concert in Sweden. 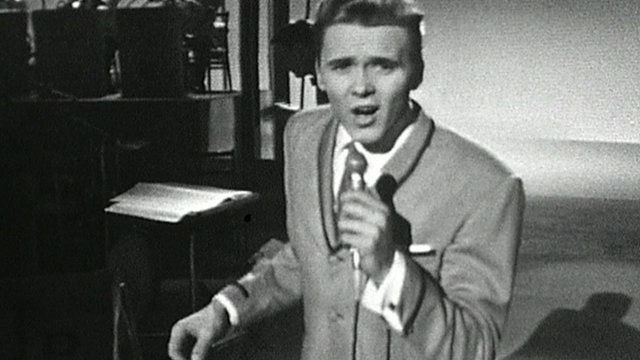 Billy Fury was often described as Britain's answer to Elvis and as one of the biggest stars of the 1960s, he left a powerful legacy. The Beatles once auditioned to be his backing band, and Morrissey credited him with inspiring his quiff. Now a new documentary all about him is opening in cinemas, looking at the highs and lows of a life that ended prematurely.